These stunning limited edition lithographs were published some 30 years ago to coincide with a major Andy Warhol Show in Europe in a limited edition of just 500. 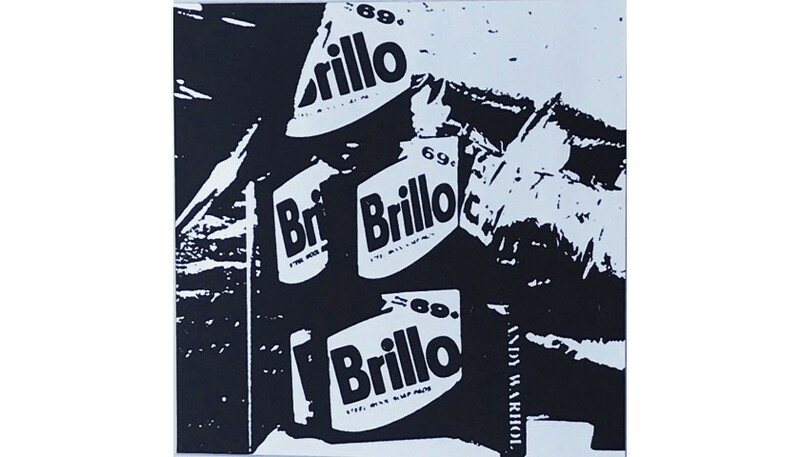 Andy Warhol's Consumer Product series with his focus on the notorious "Brillo's Boxes" on a silver backdrop on heavy, silver metallic paper is from edition #270/500. A true Andy Warhol masterpiece and very rarely seen with the silver metallic background which really highlights this iconic artwork.